Try this casserole instead of the one we so often make at Thanksgiving. This adds mushrooms, and cheese as an extra touch. 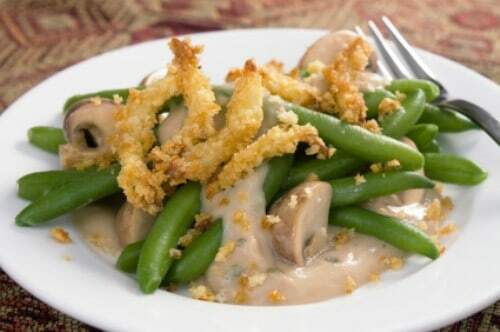 Make Green beans and Mushroom Au Gratin better than you have ever had it. Cook beans, drain. Make sauce of milk, salt, and flour. Stir 1/4 cup cheese into sauce. Add mushrooms including liquid. 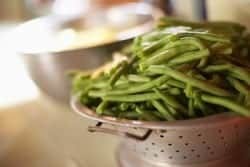 Combine with beans into a shallow buttered dish. Top with remaining cheese. Bake at 350 degrees for 15 minutes.